These cookies are hands-down my kids' favorite holiday cookie! They are crispy on the outside but they melt in your mouth just like cotton candy! 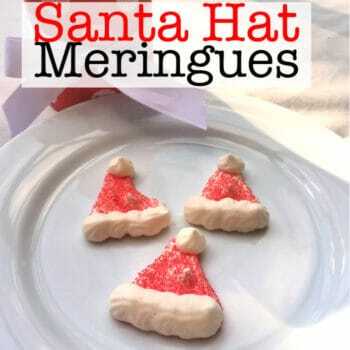 Not to mention- these Santa hat meringue cookies are absolutely adorable to look at! 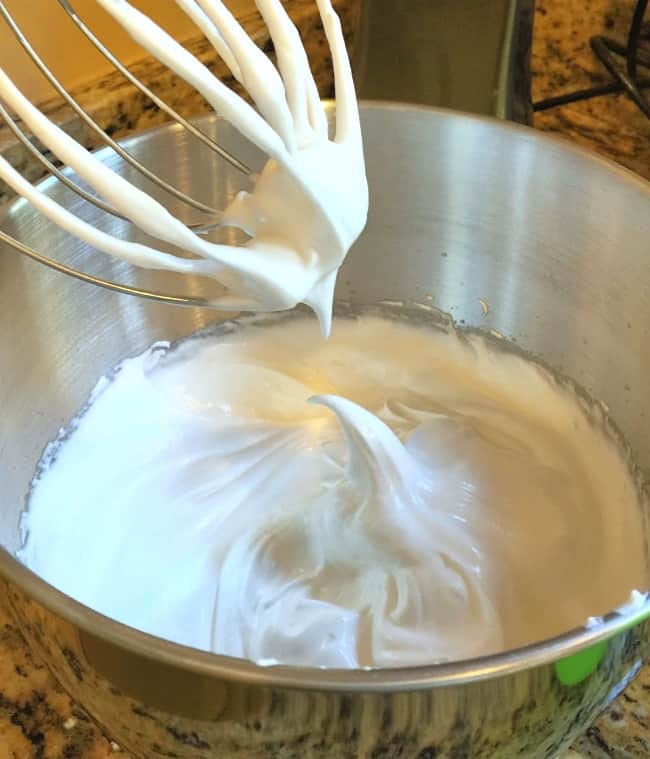 It's just 4 simple ingredients all whipped together in your electric mixer until the meringue is stiff and stands in peaks when you lift the beater. You'll then need to transfer your meringue into a piping bag This is an affiliate link: MomOf6 earns a commission if you purchase, at no additional cost to you. . I find it easiest to do this when I first place the piping bag into a large plastic cup. Because trying to hold one of these floppy guys while spooning in the sticky meringue is nearly impossible! Pipe small triangles all over your baking sheet. They can be super-close together because these cookies will not rise. Sprinkle the triangles with your red sugar, and then tap on the baking sheet held over your sink to remove some of the excess red sugar. Pipe on the pom-pom for the top of the hat, and the squiggle poms for the bottom of the hat. 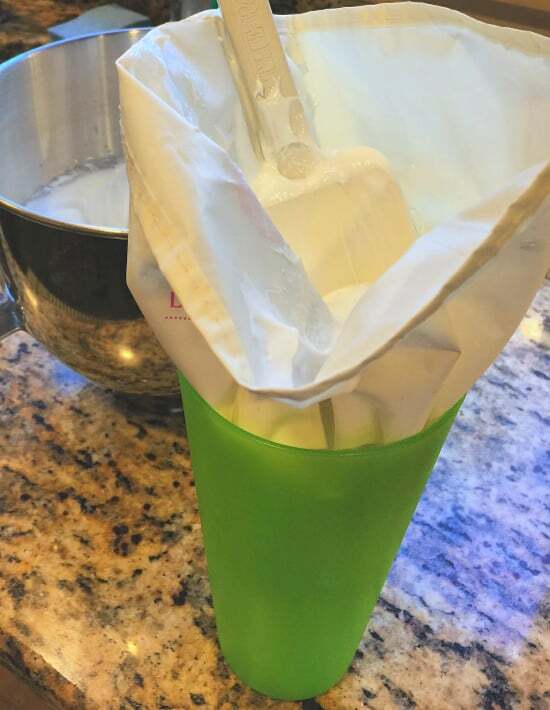 (I used a #18 Wilton tip This is an affiliate link: MomOf6 earns a commission if you purchase, at no additional cost to you. for all of my piping work- including the triangles). Do you love to cook? Then be sure to check out this list of my favorite Kitchen Gadgets This is an affiliate link: MomOf6 earns a commission if you purchase, at no additional cost to you. for Busy Moms and Best Kitchen Tools This is an affiliate link: MomOf6 earns a commission if you purchase, at no additional cost to you. for Holiday Meals over on my Amazon influencer page This is an affiliate link: MomOf6 earns a commission if you purchase, at no additional cost to you. ! 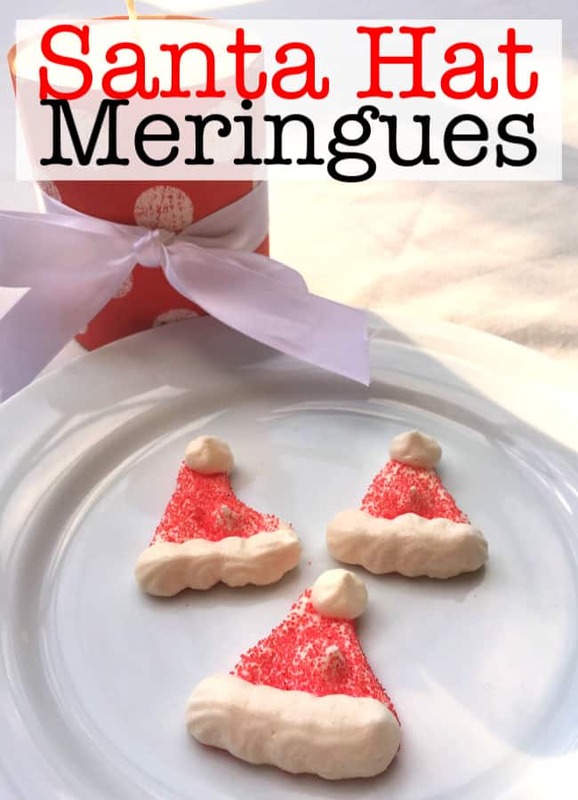 These Santa hat meringue cookies are absolutely adorable to look at and are hands-down my kids' favorite holiday cookie! They are crispy on the outside but they melt in your mouth just like cotton candy! Heat the oven to 200 degrees. With an electric mixer, beat the egg whites until soft peaks start to form. Continue beating and add the cream of tartar and vanilla extract, then slowly add the ½ cup of sugar. Continue to beat until the peaks stiffen. Spoon the meringue into a decorating bag or a quart-sized ziplock bag. 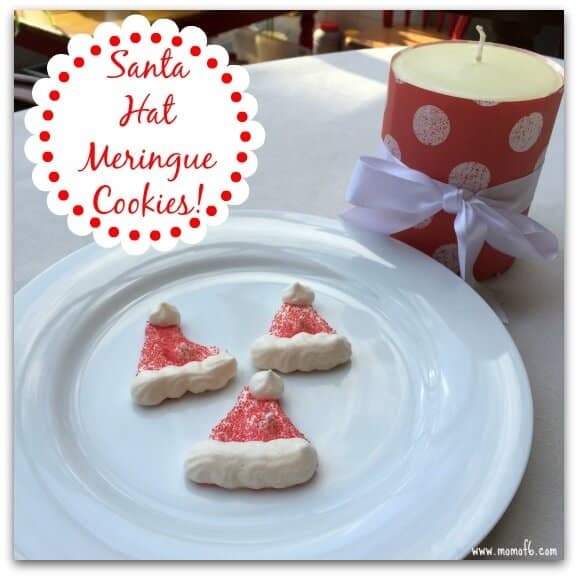 Pipe 1-1/2″ tall Santa hat triangles onto a parchment-lined baking sheet (reserving at least ¼ of the meringue). Sprinkle the triangles with red sugar. 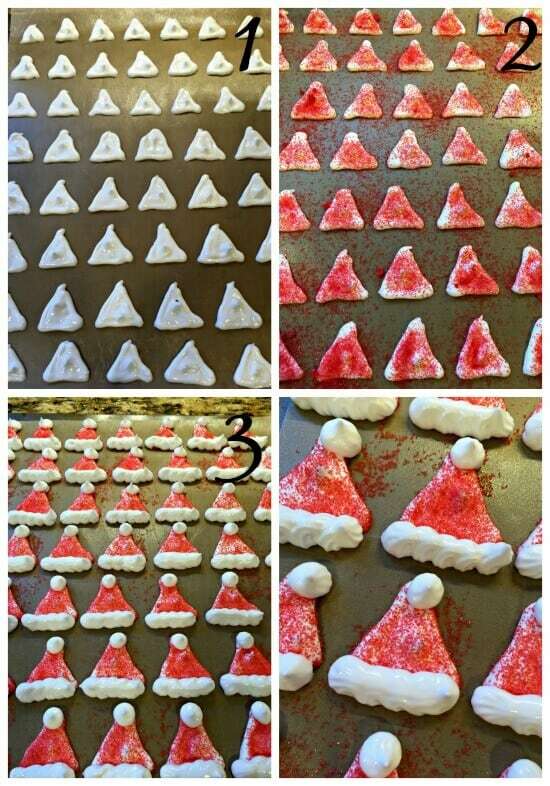 Use the remaining meringue to give each triangle a pom-pom and trim. Bake the hats until they're hard but not browned, about 1 hour and 20 minutes. Turn off the oven and leave the hats in it for an hour to crisp before removing. Looking for More Recipes that Kids Will Actually Eat? Then check out my Recipes page for breakfasts, dinners, desserts, and more that have been Rowley family approved! These look hard but knowing that your kids love them almost makes we want to try them! They really aren’t hard- you should totally try them! Only 4 ingredients required… and the ability to make triangles and squiggles!